Business Schools Add Courses On Ethics, But Are Graduates More Ethical? 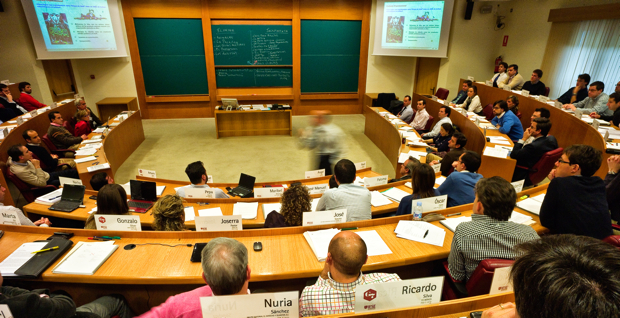 Post-financial meltdown, business schools are trying to make their graduates more responsible. But does taking one class on ethics work, or does a new ethical model need to permeate the curriculum? Many industry watchers saw business schools as contributing factors in the financial crisis, arguing that, by failing to challenge orthodoxies, and overlooking “socially useless” activities, they helped create conditions for collapse. That nearly every relevant banker, regulator, and politician was an MBA graduate helped make the case. But what about now? Have b-schools changed? Yes, and no, according to a survey of how schools are teaching social, environmental, and ethical topics. On the one hand, MBA programs are teaching more social, environmental, and ethical content than ever. Four-fifths now require students to take a business and society course, compared to just 34% in 2001, when the Aspen Institute first conducted its Beyond Grey Pinstripes survey. On the other hand, schools have yet to significantly reform “core” subjects like finance and accounting. The report ranks 149 schools in 22 countries, with only a few major institutions not participating (Harvard Business School and Chicago-Booth, notably). Stanford’s Graduate School of Business comes out on top, followed by the Canadian York University’s Schulich school, IE University in Spain, and Mendoza College at Notre Dame. Yale, Northwestern and Cornell also feature in the top 10. “If finance is stuck in a model that says ‘externalize your costs, discount the future, regulation is bad,’ that’s because of how it is taught at most schools, and how faculty are rewarded and tenured.” Aspen aims to identify scholars in finance who “teach in a way that is consistent with the full cost of business,” and to reward “schools that are willing to innovate”. One reason to focus on b-schools is that they are “hugely influential” in defining attitudes, Samuelson says. About a quarter of graduate degrees, and 20% of undergraduate ones, are business-related. And their impact extends beyond what is taught in the classroom. “Business schools are good at creating a 24/7 experience that really shapes the minds of students. The intensity of the degree, and the cloistered experience, is also why they are so influential,” says Samuelson.